Your ability-are you a novice rider looking for a safe horse to gain experience or a more competent rider looking to take part in competitions? Your circumstances-do you have your own land or will you need to keep your horse at a boarding facility? Will you ride every day or just on weekends? The extent of your knowledge-if you are keen to own a horse but have limited knowledge, take an experienced rider or instructor with you to assess an animal. It is useful to take some time to decide on a profile of a suitable horse. What breed or type of horse or pony do you want? What price are you expecting to pay? What experience should the horse have had? What type of riding are you intending to do? 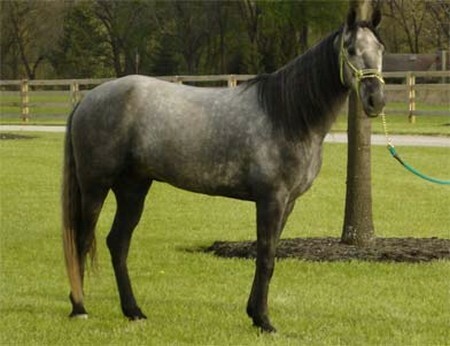 Would you prefer owning a mare or gelding? When assessing a horse or pony for purchase, ask the owners to trot them in a straight line away from, and back toward you. By observing whether the horse moves evenly and straight, you can assess its soundness and ability to move correctly. Look out for signs of dishing (front legs swinging outward), plaiting (legs crossing in front of each other) and brushing (legs moving too close together). Stand back from the horse and look it over from head to tail. Next, run your hand down the neck, over the withers and check for any signs of pain or discomfort. Continue down the legs, checking for heat, hard lumps or soft swellings that could indicate signs of injury. Next, watch the horse being tacked up and note how it behaves. Does it stand still and accept this willingly or are there signs of tension, biting or kicking? It is preferable to see the horse being ridden by the owner before riding it yourself. This gives you the chance to assess its attitude to work, its level of training and obedience to its rider. Ask to see walk, trot and canter on both the left and the right reins. If you intend to do some jumping, watch the horse go over a few jumps first. If you feel that you would now like to ride the horse, remember that the owner will be very used to the animal and you should take some time in walk to get a feel for it and check that you are able to start, stop and steer before moving on to faster paces. If you think you have found the right animal and wish to buy it, it is advisable to have the horse checked (“vetted”) by a qualified veterinarian, preferably one specializing in horses, before closing the deal. A veterinarian will provide a thorough inspection of the horse and advise you on its suitability for the type of riding you wish to do. About the Author: Fred Goodson has a passion for pets and animals. He has 4 dogs and is planning to have another one. He is also a blogger who writes about pets and animals. Currently, he is living in New Jersey.